Agri-Chem, LLC is your destination for all your crop input needs. We specialize in Fertilizer, Crop Protection, Seed, and Application. There is no need too big or too small. 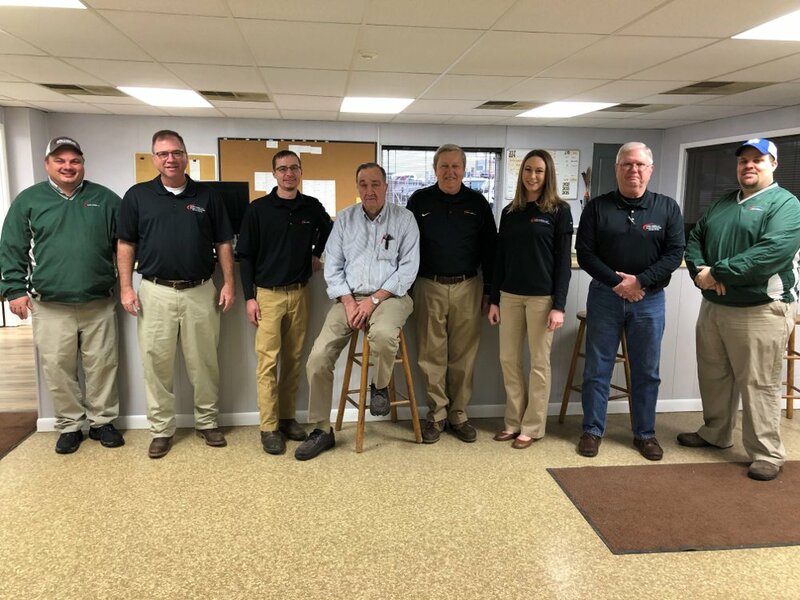 Our dedicated team of Agronomists, Precision Specialists, Operational Specialists, and Applicators are here to help you make more bushels per acre. Because we are owned by you, the farmer, 100% of our profits are returned to you. Agri-Chem knows that growing the food for our world is difficult and we are here to help you be the best farmer you can be. Agri-Chem, LLC is a wholly owned subsidiary of Hopkinsville Elevator Coop, INC. Hopkinsville Elevator COOP, INC is a 3200-member farmer owned, vertically integrated cooperative headquartered in Hopkinsville, KY. Agri-Chem, LLC represents the elevator’s retail supply portion. Agri-Chem, LLC was first organized in 1976 by owner Wayne Hunt. Over the years a relationship began with Hopkinsville Elevator. In 2011, Wayne and the employees sold the remaining shares to Hopkinsville Elevator. Agri-Chem, LLC offers competitive pay, performance bonuses, 401K matching, health, vision, dental, and life insurance. Also, for our full time employees annual sick and vacation days. Agri-Chem, LLC is a retail agriculture business and as such may include some late hours, but our employees are dedicated to the future of Agriculture in the Commonwealth of Kentucky. Come join our team and you will understand how we help grow food for not only Kentucky but for the world.